I couldn't believe it when I read the news this week to find out a Millennial, tried to take a selfie at a zoo and... was attacked by a jaguar. Sometimes we live in a virtual reality world to such a degree that its hard to tell when is a good idea from a darwinian one. Below are five examples of where people took selfies too far but somehow cheated death. Hopefully this serves as a wake up call to other people reading these kinds of stories. 1. Selfie with a Jaguar. This past week a woman at the Phoenix Arizona zoo, jumped the barrier to take a selfie with a jaguar. Even though witnesses say that the woman climbed over the barrier, the zoo still apologized for this incident. A young man, attempting to impress himself, takes a selfie right next to a train. Even though the train continuously used its horn, the man held his position. As the train past the man, he was hit by the train and was later hospitalized. He survived. 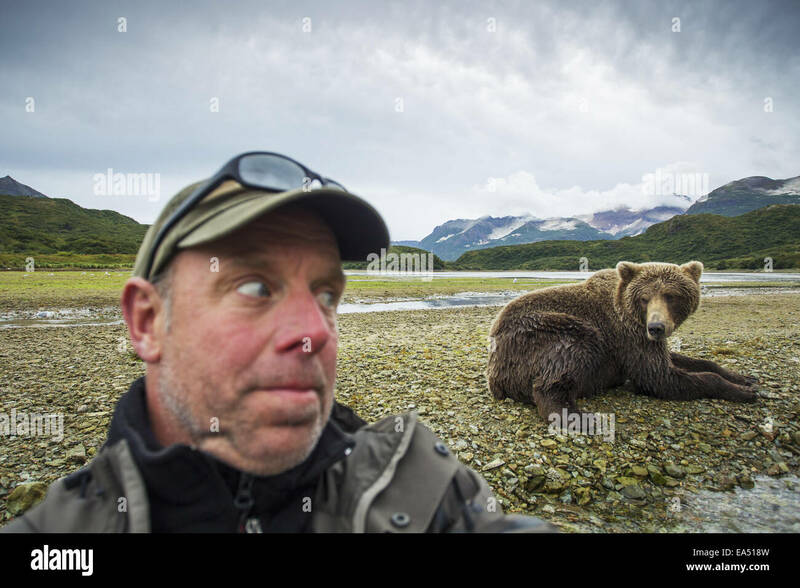 In Alaska, Paul Sounders decided to take a selfie with a grizzly bear that was fishing for salmon. Fortunately, Sounders was not attacked by the bear because unlike the other photographers in this post, he is a professional. Who needs two arms to fly a plane when you can do it with one? In this photo, the pilot decides to take a quick pic when he is a few thousand feet above the ground. While he did not lose his arm, if he did, he would have joined the Darwin awards because surviving such probably would have been fatal. After the death of Steve Irwin, some people decided to take their appreciation of wildlife into their own hands. A man jumped into a river with a crocodile to take a selfie, terrifying both the passengers on the boat and probably the crocodile. He was not attacked.